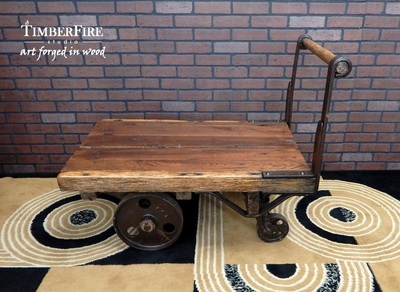 This extremely rare 1890’s factory cart has been beautifully refurbished for another century of use as a truly unique coffee table and conversation piece. 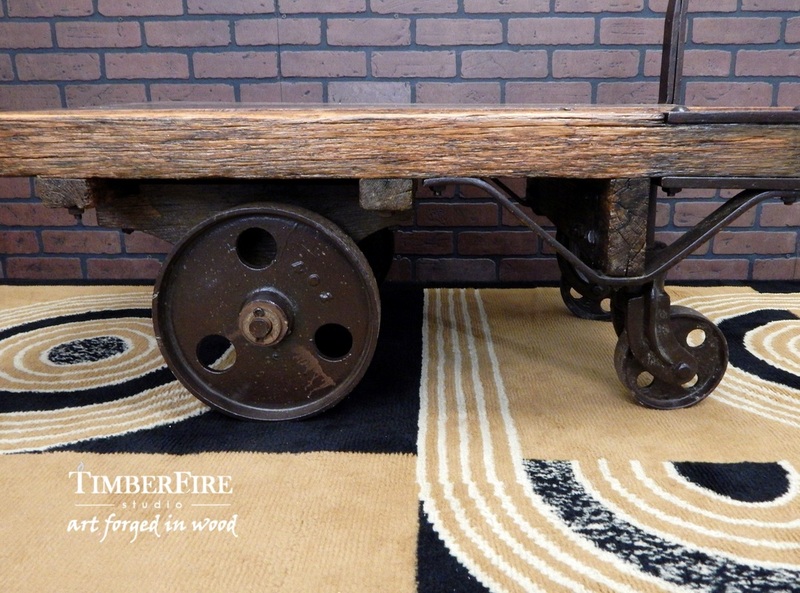 Designed and fabricated in Cincinnati, Ohio by the John T. Towsley Manufacturing Company for transporting heavy loads around docks, factories, and warehouses. 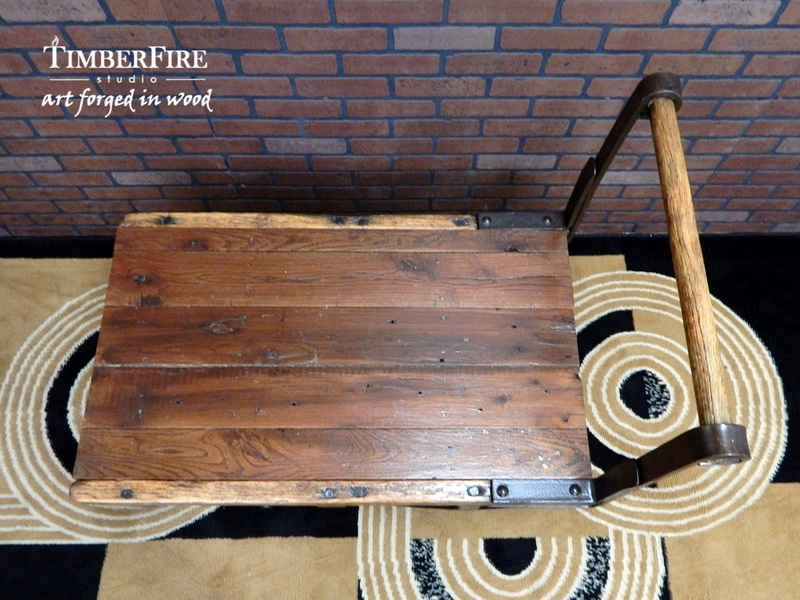 Loaded with character, you can’t help but love the fanciful wrought iron upright brackets with hand-peened rivets coupled with the original wood handrail that is weathered from being pushed by countless calloused hands. 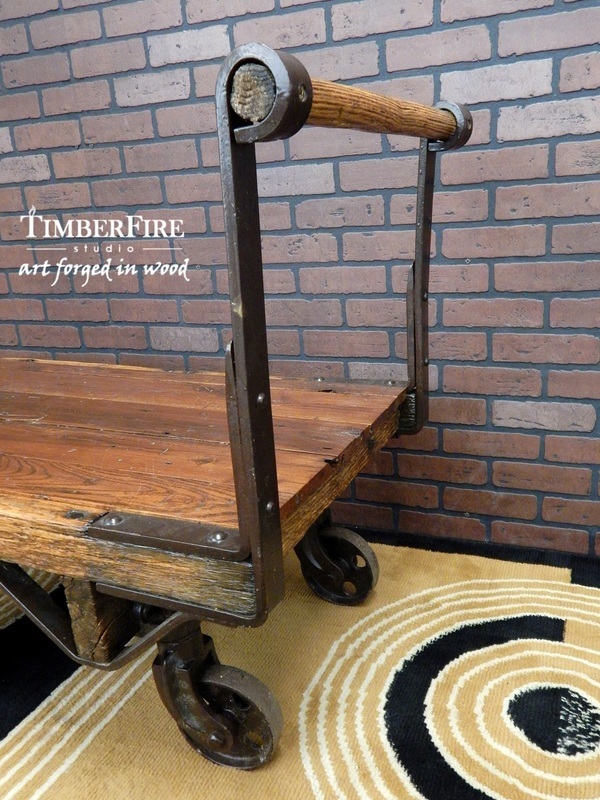 Solidly constructed of American Oak and Cast Iron, this cart is an amazing piece of industrial history.